Today, I want to share a picture I colored with my Copics and made into a card for my Grandma's recent birthday. 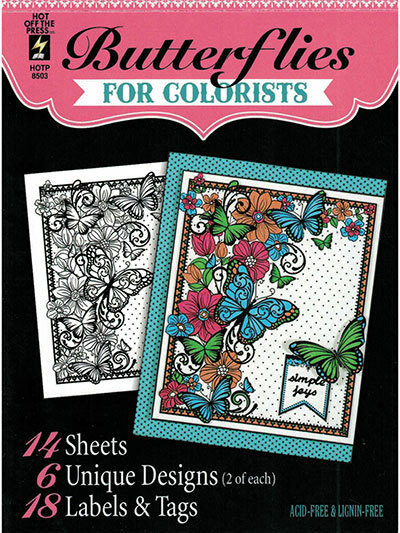 The image comes from a the book, "Butterflies for Colorists. 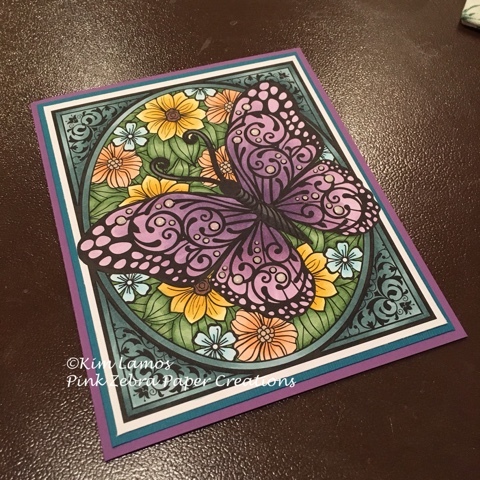 After I was done coloring the image, I used Fun Stampers Journey, Lavender Fusion and Blue Lagoon Cardstock to create the card base. She loved it and I am glad. Enjoy!